U Won’t Find This Route on Your Own!!! 3 Tries, Both Ways, Use your Best Time Each Way! 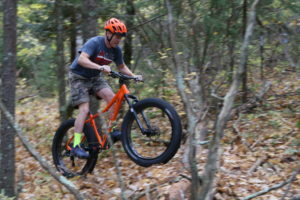 Best Time, Each Way, Wins a Free 3-Hour Private Fat Bike Tour for 2! Includes: Higher-End Fat Bike, Helmet, and after the Trials, Pizza and Beer!